Please call owner Henry at 401-783-4749 or 401-742-1840. 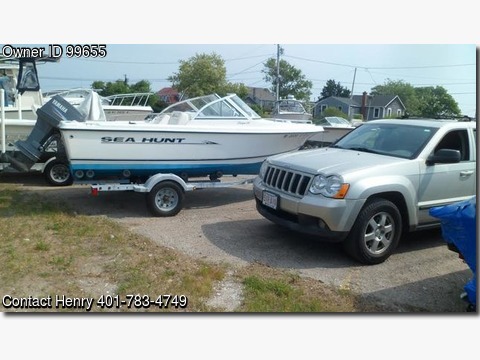 Boat Location: Snug Harbor Marine Center, 410 Gooseberry Road, Wakefield, Rhode Island 02879. Aerated Live Well, bilge pump, power points 12 volt, anchor storage, self bailing cockpit, glass walk through windshield, fuel tank built in 32 gal, bow cushions.